Edited by Ijaz Ahmad (spelling, formatting, content, etc). One of the recent things I have heard from Christian missionaries, when debating with them is that they say, the Ka’bah in Mecca where Muslims go for pilgrimage annually has no history before the advent of the Prophet Muhammad (peace be upon him). These ridiculous and fictitious claims have no basis whatsoever. 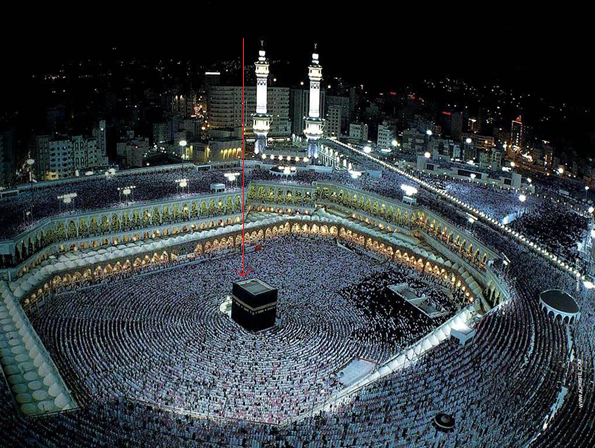 I shall now bring forth evidences that Kabaah in Makah did exist before the coming of Muhammad (peace be upon him). Diodorus Siculus was a Greek historian, who wrote works of history in the 1st Century BC. He is known for the monumental universal history Bibliotheca historica. Diodorus is the first known Historian long before the coming of Islam that makes mention of Mecca. Claudius Ptolemy was a Greco-Roman writer of Alexandria, known as a mathematician, astronomer, geographer; is another person, centuries before Islam who makes mention of Makkah. He uses the name ‘Makoraba’ for Makkah.